Uzwil (Switzerland), November 21, 2017 – The Bühler Group introduces the new digital rice analyzer TotalSense, which enables the reduction of costs, improvement of yield, and improvement of quality for rice processors. This innovation is part of Bühler’s digitalization initiative featuring a number of new solutions that leverage the power of IoT with increased customer value. Digitalization has arrived in full force, changing many aspects of our private and professional lives. Bühler is implementing a digitalization strategy to lead the industry and create innovative solutions with high value for its customers. “We are positioning ourselves at the forefront of this accelerated transformation. 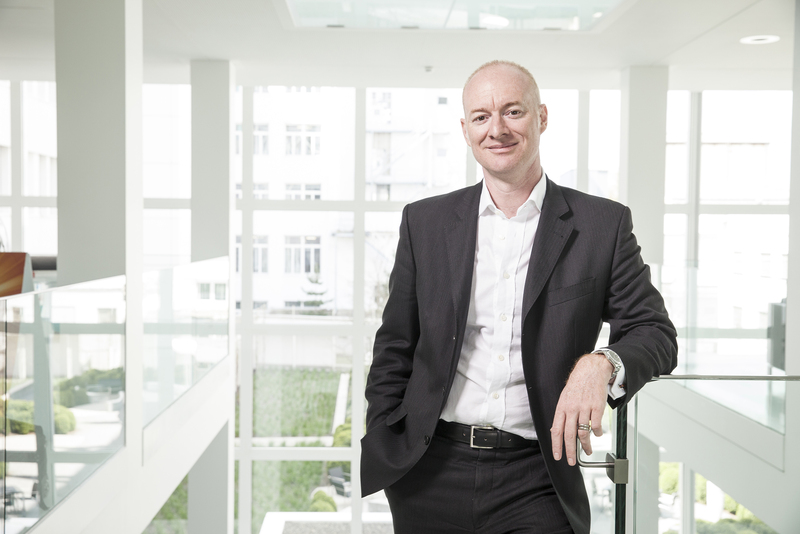 Digitalisation can bring consumers and producers closer together and increases performance, efficiency, and quality” says Stefan Scheiber, CEO of the Bühler Group. Rice farmers often manually measure and inspect rice grains to ensure they meet preset size and other parameters. This process can be slow, subjective, and prone to errors. To improve this situation, Bühler has developed TotalSense. 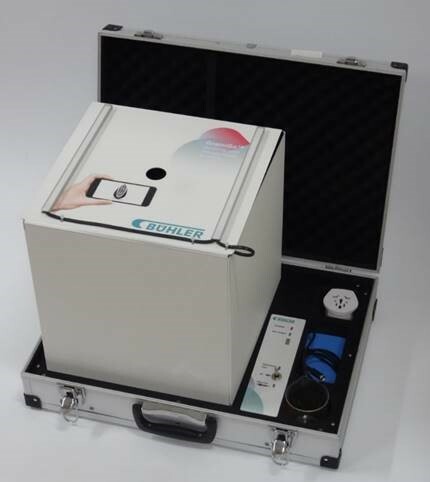 This mobile rice analyser speeds up the quality process and introduces objective and tracable data through the use of the Internet of Things and cloud technology. 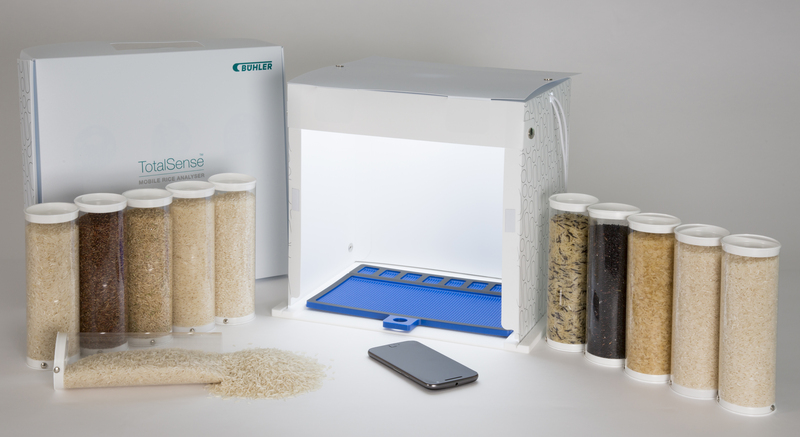 The mobile rice analyzer delivers reports on quality within minutes by uploading a picture of a sample to a cloud-based solution. As a result, rice farmers save precious time and benefit from an early warning system that prevents the contamination of entire batches. The value of IoT is particularly evident for food safety. Reputation damage of food producers from food fraud or recalls is incalculable. Bühler has therefore introduced a food safety alert system designed to mitigate these risks by combining food safety databases and early warning systems under one coherent, cloud-based solution. “Now we have the opportunity to connect with our partners, flagging risks but also giving insights on potential solutions”, says Béatrice Conde-Petit, Bühler’s Food Safety Officer. This digital service is in its final development stage and will soon be available. With AnywarePro, Bühler introduced a solution that analyzes, filters, and transmits critical data on machine performance, tolerance levels, and sorting criteria in real time through remote access. As a result, engineers and machine operators are able to anticipate maintenance requirements and thus reduce downtime, which results in considerable cost savings. Bühler is sponsor of the Digital Day Switzerland and has invited selected customers to a special event and exhibition at its Customer Center in Uzwil dedicated to digitalization and IoT on November 21, 2017.